Transition Crouch End: Monday 17th November 7pm 'Manufactured Landscapes' film with Introductory presentation from Christopher Le Breton. At Earl Haig Hall, Elder Ave N8. 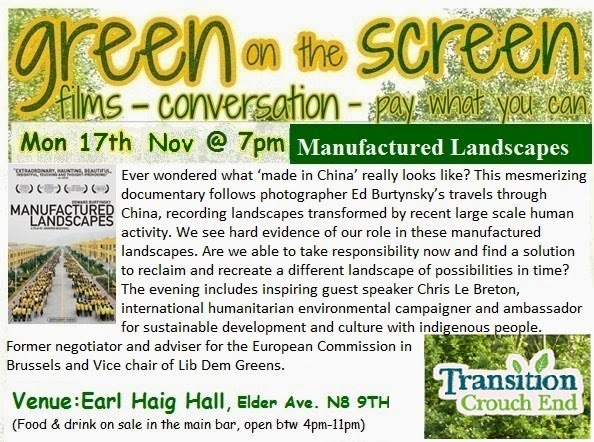 Monday 17th November 7pm 'Manufactured Landscapes' film with Introductory presentation from Christopher Le Breton. At Earl Haig Hall, Elder Ave N8.